Decimus Clodius Septimius Albinus Augustus was a Roman usurper. 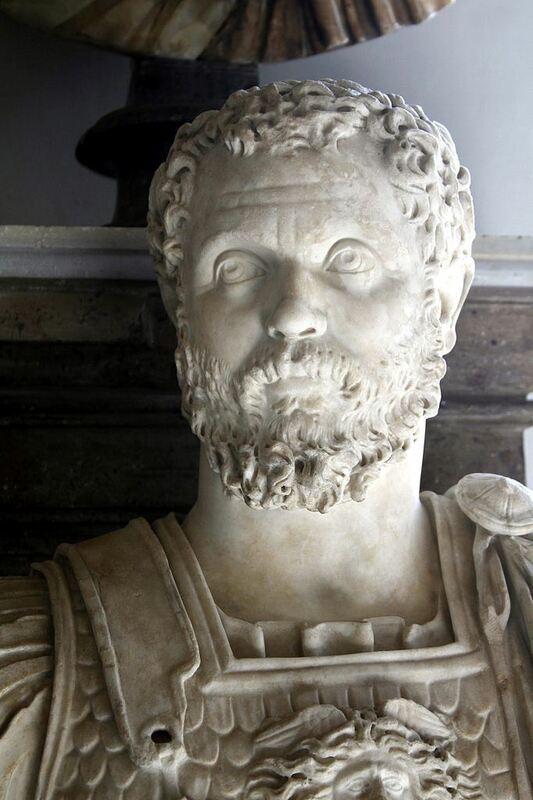 After Pertinax was assassinated in 193, the imperial throne was sold to Didius Julianus. Immediately afterwards, Pescennius Niger was proclaimed Emperor by the legions in Syria; Septimius Severus by the troops in Illyricum and Pannonia, and Albinus by the armies in Britain and Gaul. In the civil war that followed, Albinus was initially allied with Septimius Severus. When in 196 Severus had defeated his two other rivals, he turned to Albinus. The two armies met at the Battle of Lugdunum. Albinus was defeated and killed himself, or was captured and executed on the orders of Severus.